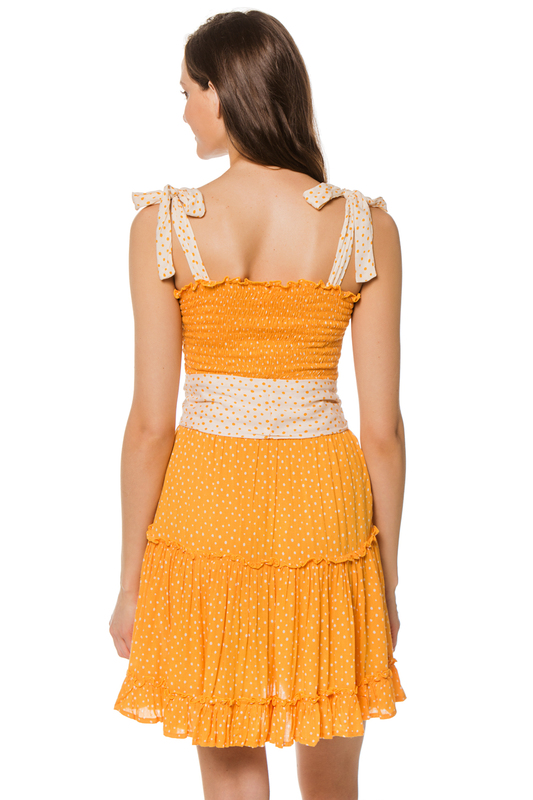 Raegan Momi dress with smocked elastic bodice and thick tie straps. Ruffles along skirt and hem. Optional belt.